The term crystal is often misunderstood and used for the rock crystal. This term actually describes solids whose building blocks are arranged in a regular crystal structure. 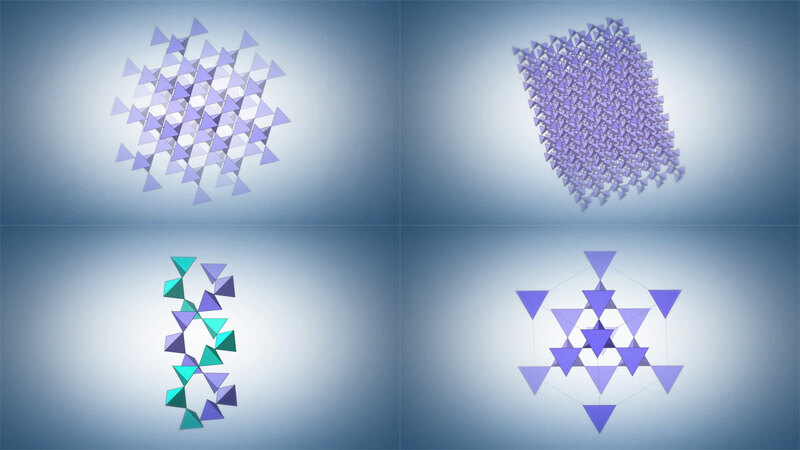 Common crystalline materials are salt, sugar, metals and snow – but also minerals. 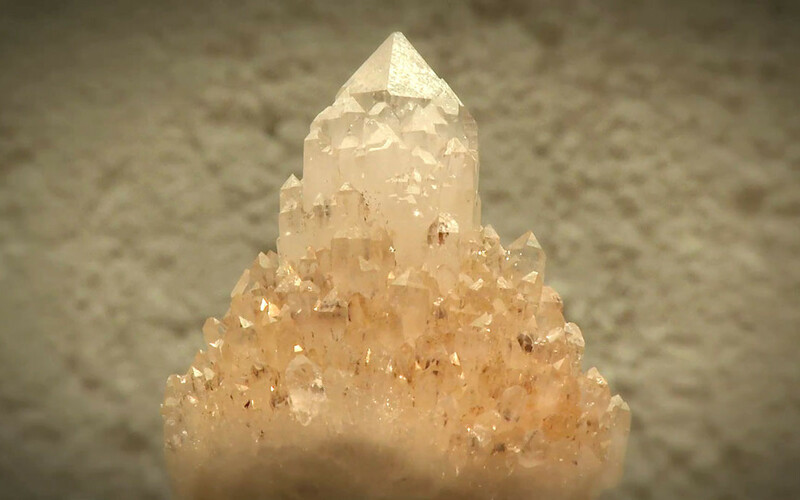 In the world of minerals and gemstones the term crystals is often applied to the group of quartz crystals, especially to well-grown single crystals. Quartz is a mineral with the chemical composition SiO2 and trigonal symmetry. The crystalline silicon dioxide is the second most abundant mineral on earth after feldspar and occurs in numerous modifications and varieties. Quarty belongs to the group of mineral oxides and to the group of framework silicates. Quartz often forms from well-developed crystals of great shapes and colors with strong, shiny crystal faces. Large single crystals or crystal stages are frequently encountered. 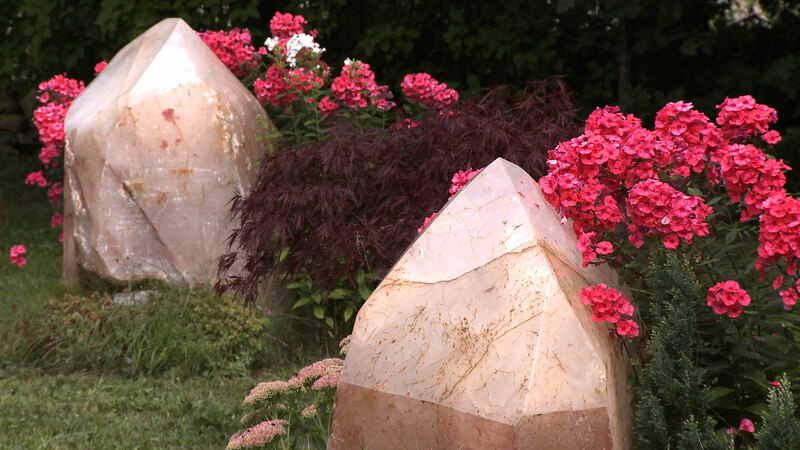 Well trained quartz crystals are formed preferably in crevices, passages and natural cavities, so-called geodes. Quartz was a used as a definition for mines and for all crystals in the Middle Ages. Only with Georgius Agricola in the 16th century the term was limited to rock crystals. 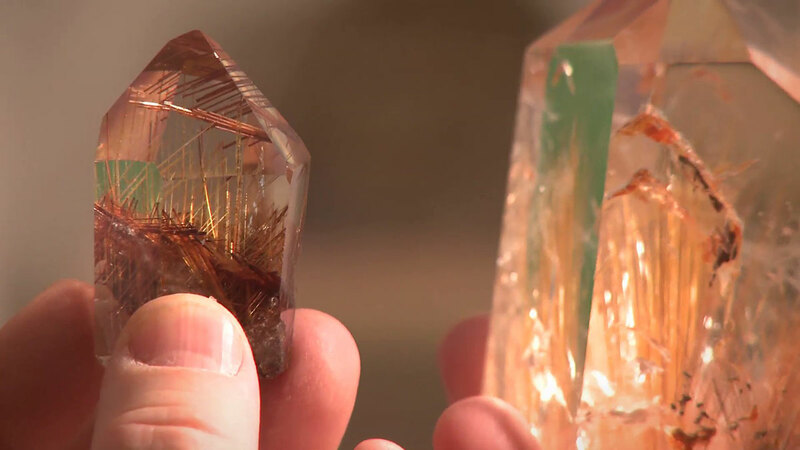 Other varieties of quartz crystals are known under a different name. 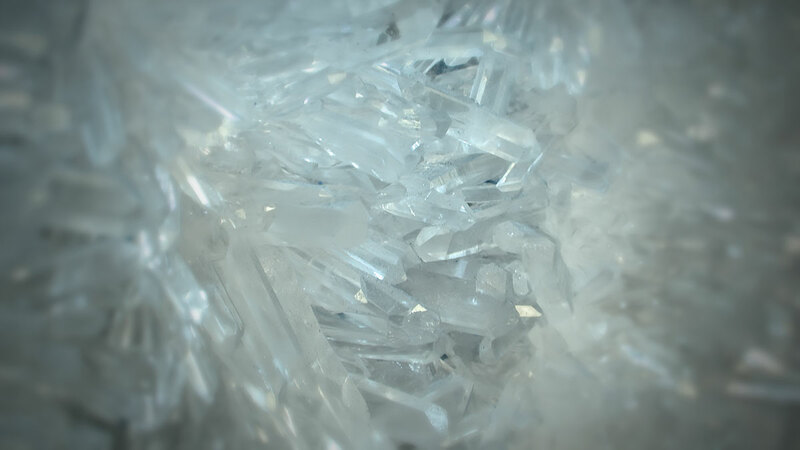 Quartz is a very pure compound and includes only few other elements in its crystal grid. Pure quartz is completely transparent and colorless. By the incorporation of coloring ions, the inclusion of colored minerals or by the action of ionizing radiation crystals can be colored in a different way. Blue Quartz (Sapphire crystal): blue, opaque aggregate with incorporated crocidolite fibers or dumortierite. Strawberry quartz: hematite incorporations cause this crystal to be irregular pink to red . It is usually more transparent and stronger in its color than rose quartz. Prasem (Emerald Quartz): leek green, opaque aggregate that gets its color by including actinolite. Other famous crystals are the microcrystalline quartzs, ie very fine crystalline quartz aggregates with crystal sizes in the micrometer range, in particular Chalcedon, Quarzin and Amethystquarz. Because of the adhesions of these microcrystalline quartzes with other colored, precious and non-precious minerals countless other varieties of silicate rocks, such as agate, onyx, jasper, carnelian (ardine), Moss Agate, heliotrope, sardonyx, Snow Quartz, Aventurine quartz, Hawk Eye, Tiger Eye and Cat’s Eye Quartz are formed. Quartz crystals play an important role in technology as well as crystal healing. Firstly, like any other gemstone, they unfold their own vibrational field whose quality may have regulating and harmonizing effects on the human energy system. But unlike other crystals the rock crystal has a very neutral and clear energetic quality. Pure single rock crystals can thus be used as storage and transmitters of information. Due to their grid structure they function as a receiver and sender of vibrational patterns. 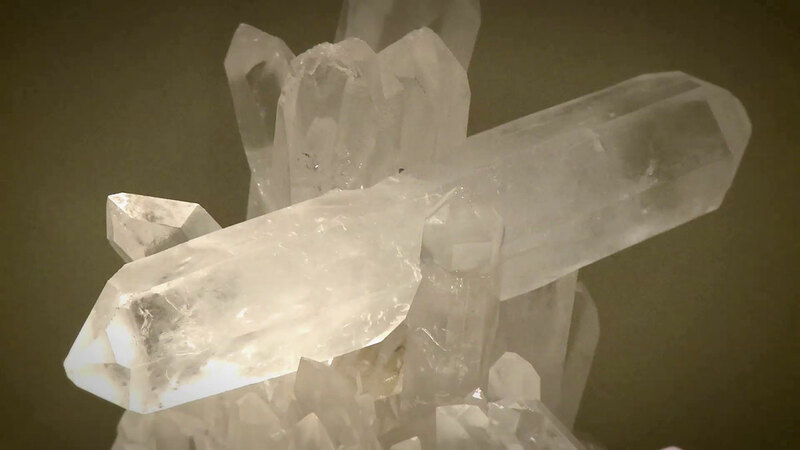 In our documentary “Crystal Visions” we have dedicated a whole chapter towards “Quartz”.